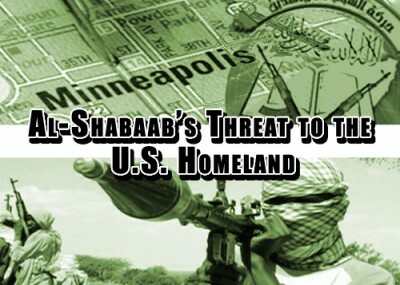 House Panel: al-Shabaab Poses "Direct Threat" to U.S.
More than 40 Somalis living in America and 20 in Canada have traveled to Somalia to join the jihad waged there by the terrorist group al-Shabaab, a House Homeland Security Committee staff report finds. At least 15 of the Americans have died in al-Shabaab violence, but the whereabouts of 21 others remain unknown. Although that violence has been limited so far to Africa, two witnesses who appeared before the committee Wednesday said the United States should consider them, and al-Shabaab, as "a direct threat to the U.S. homeland." Al-Shabaab's recruiting success in the West is unrivaled, said committee chairman Peter King, R-N.Y. "Not al-Qaeda, nor any of its other affiliates, have come close to drawing so many Muslim-Americans and Westerners to jihad," King said in opening remarks. The bulk of those American recruits came from the Minneapolis area. But one of the most dangerous is Omar Hammami of Daphne, Ala., a Southern Baptist convert to Islam who has promised to avenge the killing of Osama bin Laden in May. "Hammami poses a direct threat to the U.S. homeland with his ability to assist Shabaab, core Al Qaeda or AQAP with plots, but he also has become a source of inspiration for jihadis," the report said. "Two terror defendants in New York, Betim Kaziu and Saujah Hadzovic, were inspired to travel to Egypt for violent Islamic jihad by watching Hammami tapes." It was the third hearing held by the committee on radicalization within the American Muslim community. As with the previous two hearings, committee Democrats protested King's emphasis on radicalization of Muslims, rather than extremism in general. Rep. Sheila Jackson Lee, D-Tex., for example, requested a hearing on right wing extremists who advocate violence and submitted a list of active American hate groups into the hearing record. Rep. Michael McCaul, R-Tex., said he was "mystified by the controversy" and asked the four witnesses present, including St. Paul Police Chief Thomas Smith, whether anyone doubted the security threat posed by efforts to radicalize Muslim youth. None did. The ranking Democrat, Bennie Thompson of Mississippi, used his opening remarks to say al-Shabaab is a relatively small terrorist group. While intelligence agencies need to pay attention to it, that focus should be kept in proportion to the likelihood of the threat posed. Al-Shabaab "does not appear to present any threat to the homeland," Thompson said. The witnesses disagreed. Before the failed attempt to bomb a Detroit-bound airliner on Christmas Day 2009, few American policy leaders saw al-Qaida in the Arabian Peninsula as a threat to attack the United States, said Thomas Joscelyn, a senior fellow at the Foundation for the Defense of Democracies. In response to committee questions, Joscelyn noted that information found at Osama bin Laden's Abbottabad compound showed he was issuing directions to al-Shabaab. In addition, al-Shabaab members have been trained by al-Qaida operatives who were part of past attacks against American interests, including the 1998 attack on embassies in Kenya and Tanzania. Because Somalia has no functioning central government, it is difficult for American security officials to track movement of the Americans and Canadians who traveled there, said W. Anders Folk, a former federal prosecutor who was part of a dozen cases in Minnesota involving Somali recruitment. In the Abdulmutallab case, Folk noted, a relative even warned U.S. officials that the man might be part of a jihadist plot but he still was able to board the flight. The threat of al-Shabaab trying to get people back into the United States is "incredibly scary," he said. Ahmed Hussen, president of the Canadian Somali Congress, disagreed that the hearings' focus had a stigmatizing effect on Muslims. Rather, they "empowered" his community to speak out against recruitment by al-Shabaab. His organization has no relationship with the Canadian branch of the Council on American-Islamic Relations (CAIR) – one of the loudest critics of the hearings –because it doesn't share the Congress' goal of combating the false narrative that the West is racist and that Islam cannot coexist with democracy. Part of the problem, Hussen told the committee, is that many young Canadian Somalis graduate from college but find themselves unemployed or working at menial jobs. Most of them "persevere and keep working hard" to improve their situation. "A minority of them become alienated and fall victim to a narrative that turns them against Canada and the United States – the very countries that have sustained them and also gave refuge to their parents as they fled the civil war in Somalia," he said. This "dangerous and constant anti-Western narrative is fed to them by radicals in our community who do not hesitate to use these vulnerable youth as gun fodder in their efforts to establish a base for the al-Qaida terrorist group in Somalia," Hussen added. Most of that radicalizing message is sent through the Internet, he said. But the recruits still need chaperones to help arrange and pay their travels. King noted that, in a guilty plea in Minnesota last week, Omer Mohamed admitted recruiting took place in mosques, among other places around Minneapolis. Shabaab-related indictments "account for the largest number and significant upward trend in homegrown terrorism cases filed by the Department of Justice over the past two years," the staff report said, with at least 38 cases unsealed since 2009. On July 5 in Minneapolis, "a Saudi cleric who denounced Shabaab and other Somali combatants inside the Abubakr As-Saddique Islamic Center – where most of the missing Somali-American men once congregated – was allegedly assaulted by men shouting 'Allahu Akhbar' ('God is great! ')," according to the staff report. A recording and account glorifying the assault were posted on overseas-based jihadi chat rooms before most people in Minneapolis learned of the incident. A local news report on the confrontation can be seen here. It's possible that al-Shabaab maintains its focus on Somalia and other regional conflicts. American security officials still need to pay attention to the possibility that the group's aspirations change, and with them, its targets. "We don't know what terrorist organizations are able to do looking forward," Folk said. Whether we can prove or not prove that Al-Shabaab pose a threat to our Country, we should be wondering why our government is harboring terrorists? How can Congressman Thompson say the Al-Shabaab "...does not appear to pose any threat to the homeland." Did he even read his committee's report?? My God what is he dreaming about? He compounds this naive view by declaring Al-Shabaab a relatively a small terrorist group. Let's see are they small in comparison to, say the 19 terrorists who slaughtered nearly 3,000 innocents on Sept. 11, 2001? ?